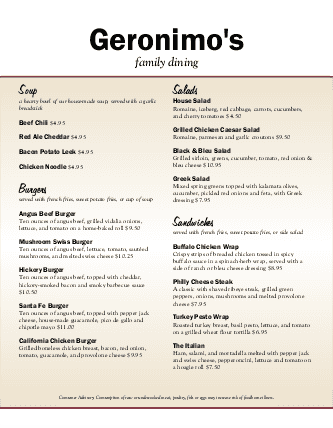 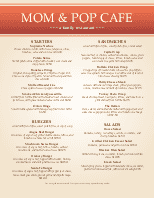 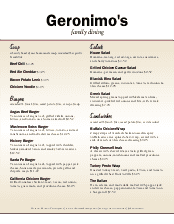 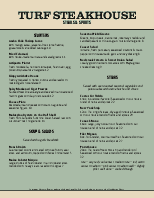 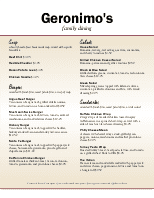 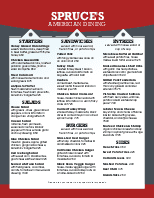 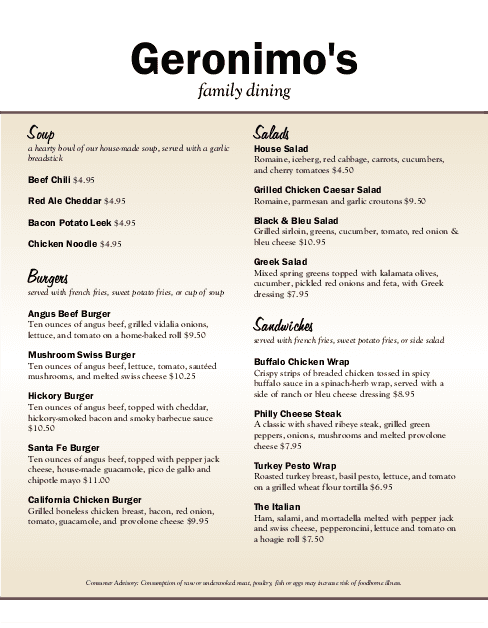 Show off diner or cafe specialties with this family dinner menu. 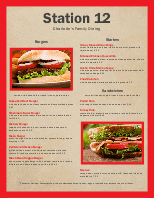 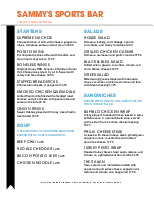 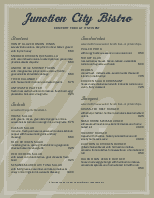 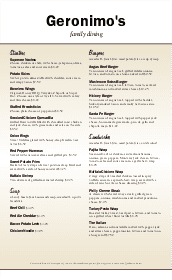 Breakfast, sandwiches and specials are presented on a beige background that stands out from the white page. 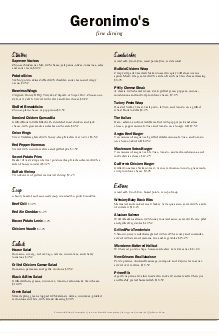 Desserts and beverages are listed below in two columns. 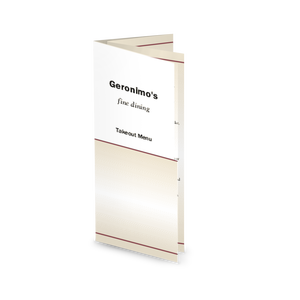 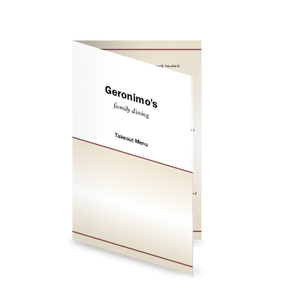 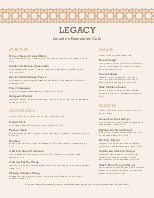 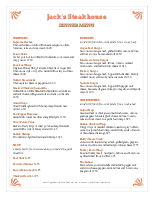 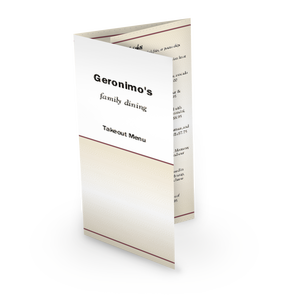 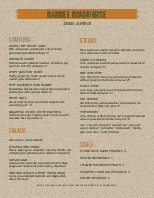 Update this family dining menu online using the Menu Editor.